Pull up band in action. 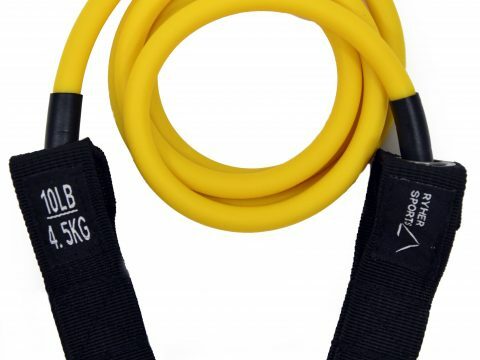 Add an extra resistance to your workout and help your body to perform better! 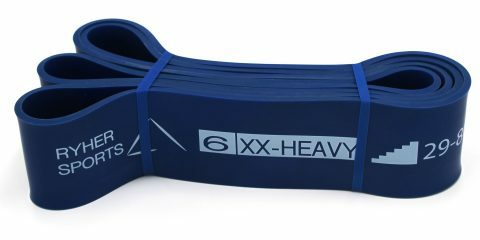 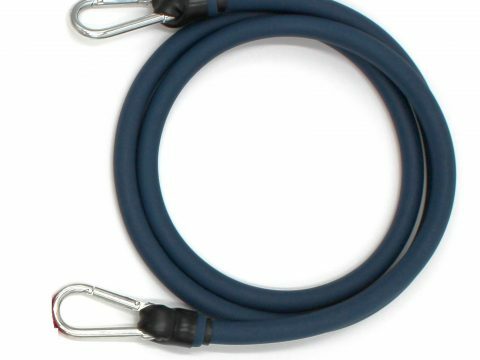 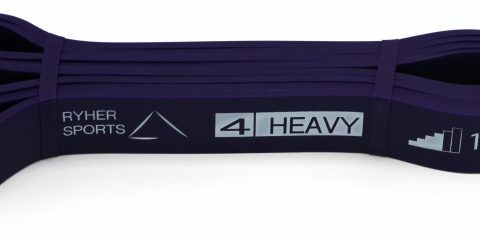 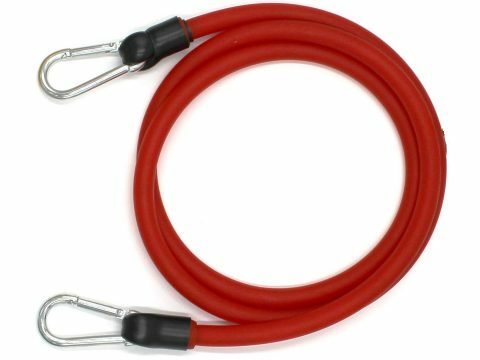 Used for a challenging power-lifting routine, or for helping with kipping pull ups and strict pull ups, our bands are ideal for both men and women. 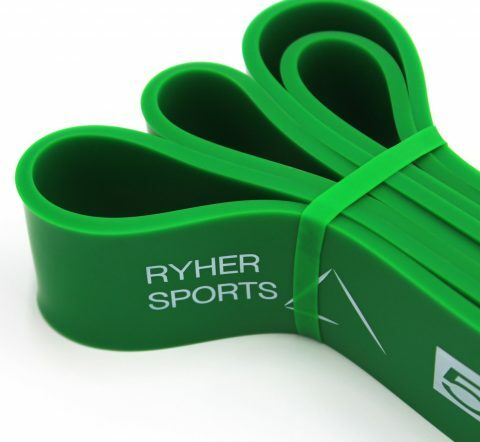 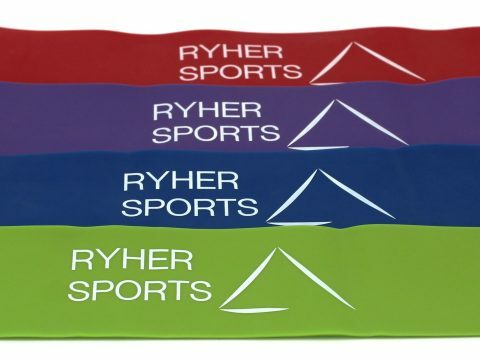 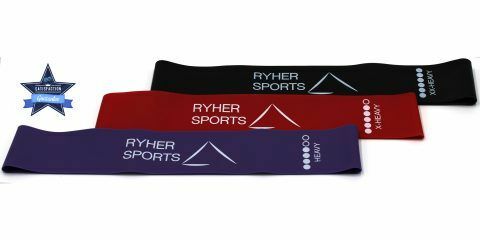 The Ryher bands are perfect for developing muscle memory or for helping with pull ups, chin ups, ring dips and muscle ups. 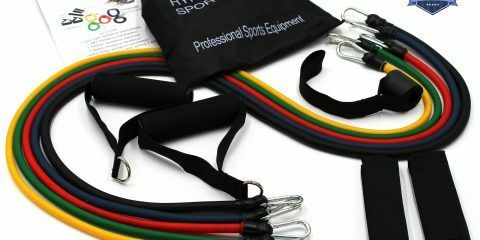 No matter your size, age, or strength level, we have a band that can help you get to the next level. 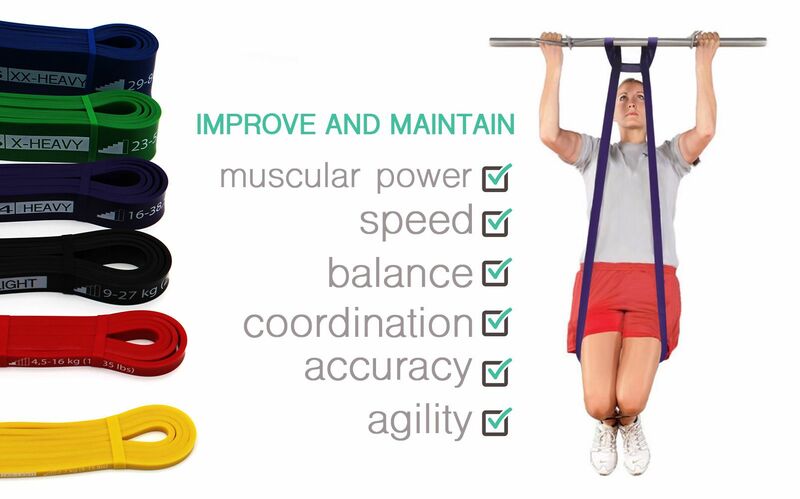 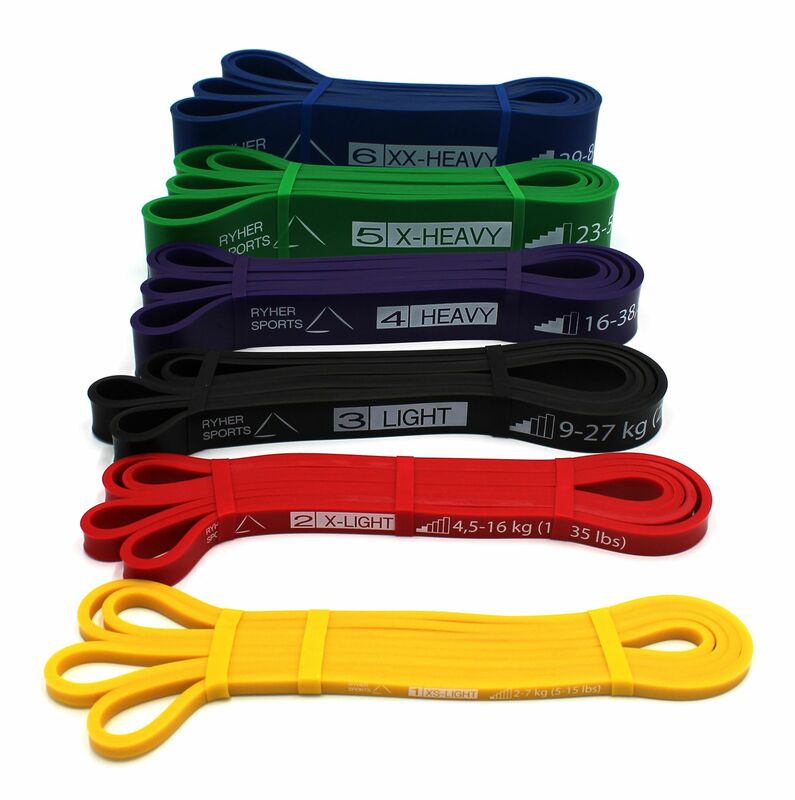 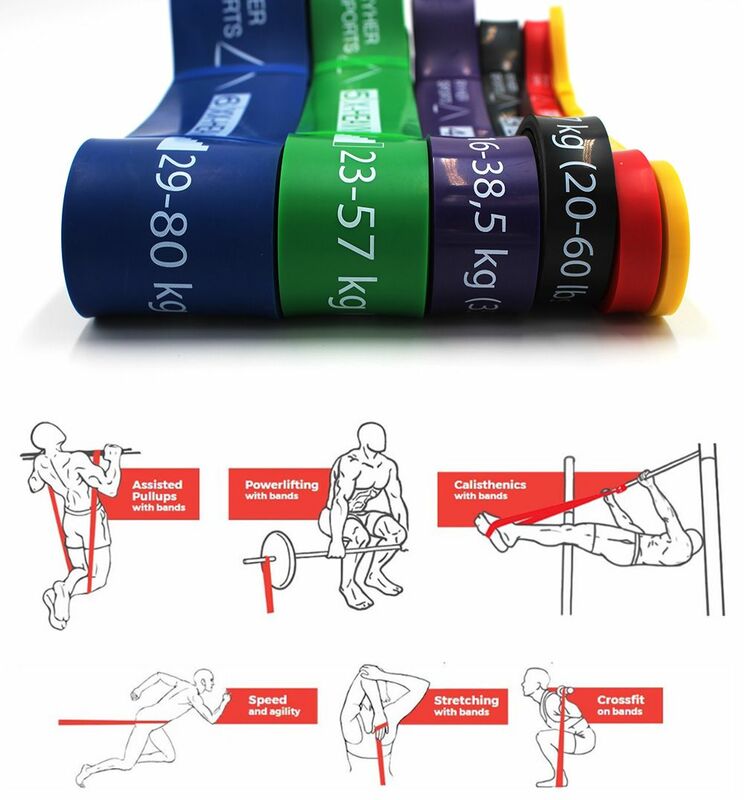 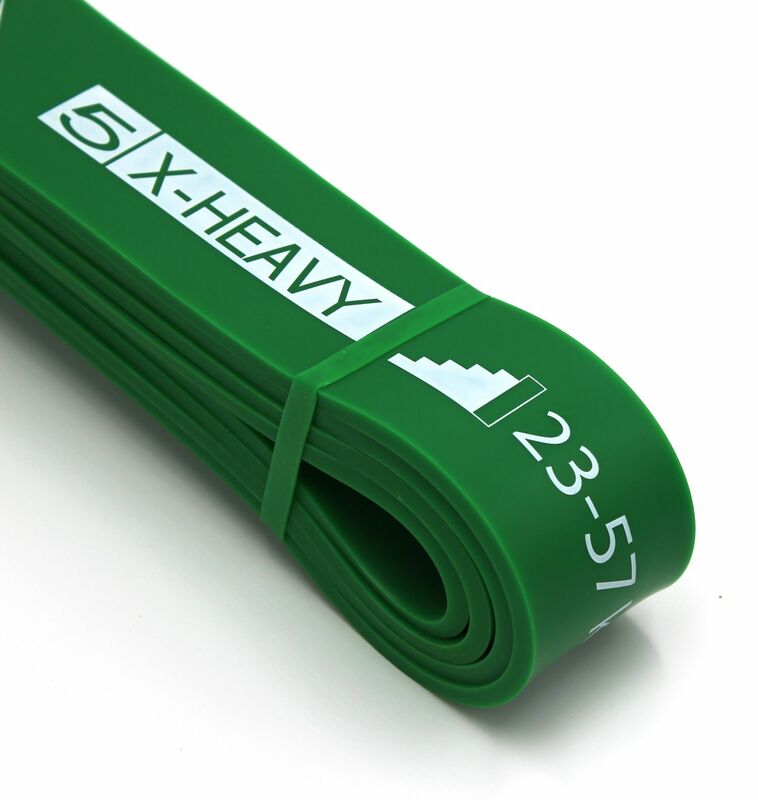 When used as assisted pull-up bands: beginners and big body weight are recommended to choose #4 Purple, #5 Green or #6 Blue band, while the advanced and light body weight are suitable to use #1 Yellow, #2 Red or #3 Black. 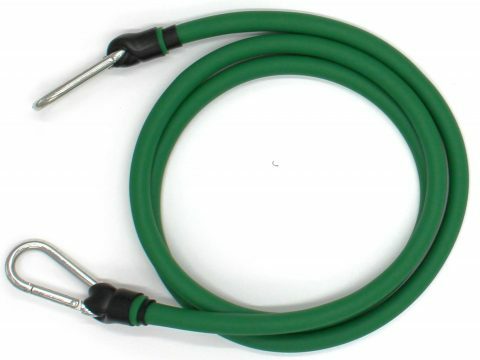 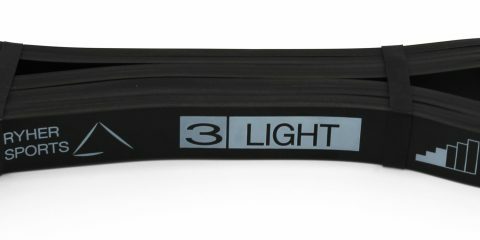 When used as resistance bands: beginners are recommended to start from #1 Yellow, #2 Red or #3 Black band, while the advanced can proceed to #4 Purple, #5 Green or #6 Blue. Our recommendation is to choose a set, or to combine 2 or 3 bands together. 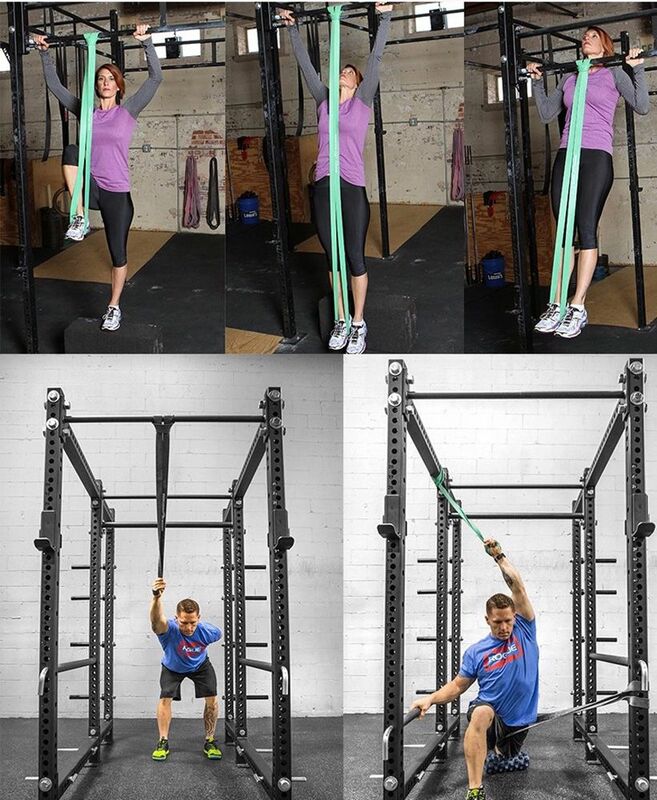 Use them as combined when you’re just starting out, and by themselves as you gain more strength. 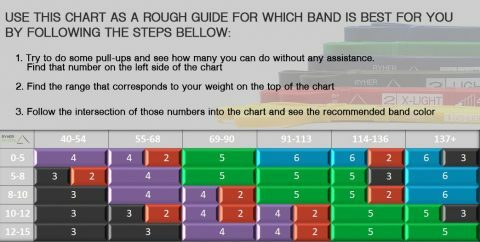 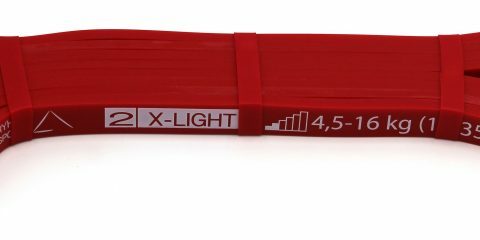 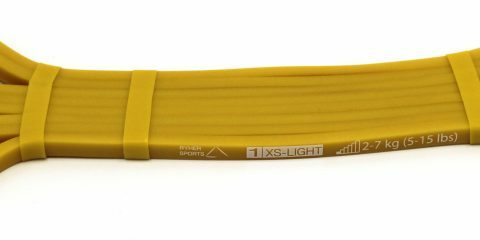 You will use lighter bands as your level goes up. Weight resistance from 23 to 57 kg (50 to 125 lbs.). 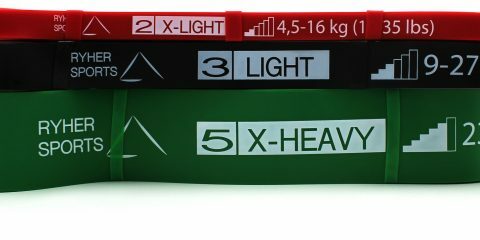 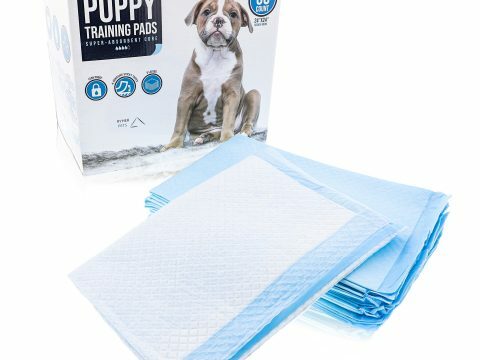 Band measures 4,5 cm (17.7 inches) wide. 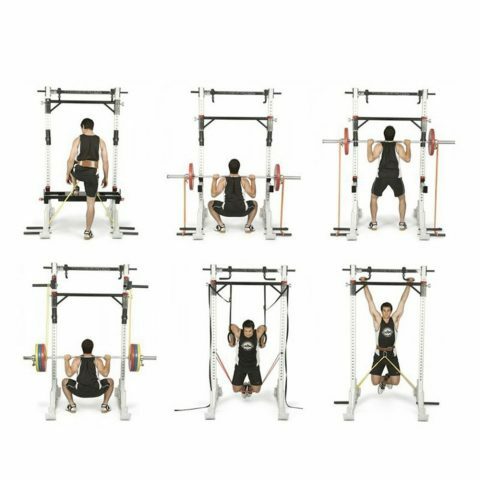 Use it for bench press, squats, deadlifts but also as an extra help with pull ups and bar muscle ups.